When Sophy Burnham wrote A Book of Angels, she inspired a phenomenon. 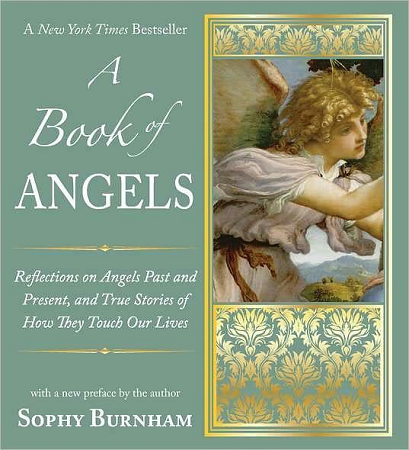 An instant bestseller when it was originally published in 1990, this beautiful book not only tells the extraordinary true stories of present-day encounters with angels, but also traces the study of angels throughout history and in different cultures. Burnham writes about the powerful male angels, Buddhist bodhisattvas, Islamic angels, Hindu Apsaras, the mysterious angels of the Jewish Kabbalah, cherubim, seraphim, guardian angels, the angel of death, and others. What are angels? What do they look like? Whom do they choose to visit? Why do they appear sometimes and not others, and would you recognize one if it appeared before you? With great feeling, Burnham offers an eloquent report from the place where earth and heaven meet. A wondrous journey into the world of angels, this book is a song of praise to life.